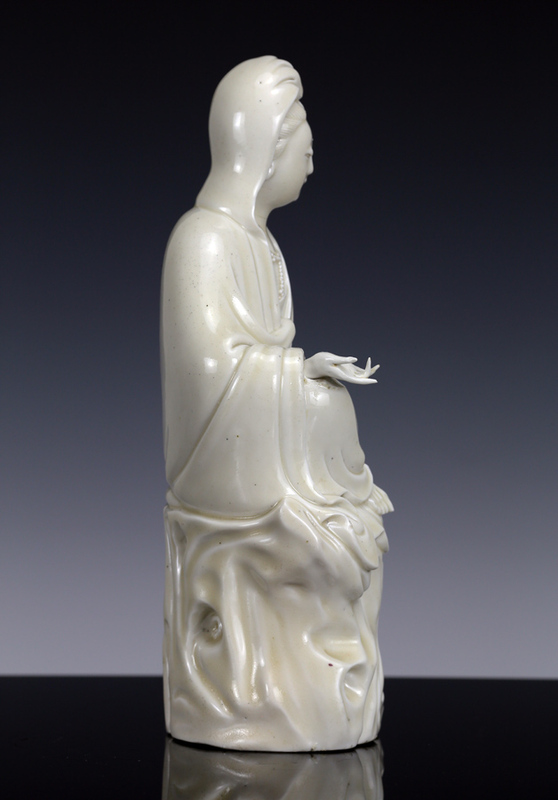 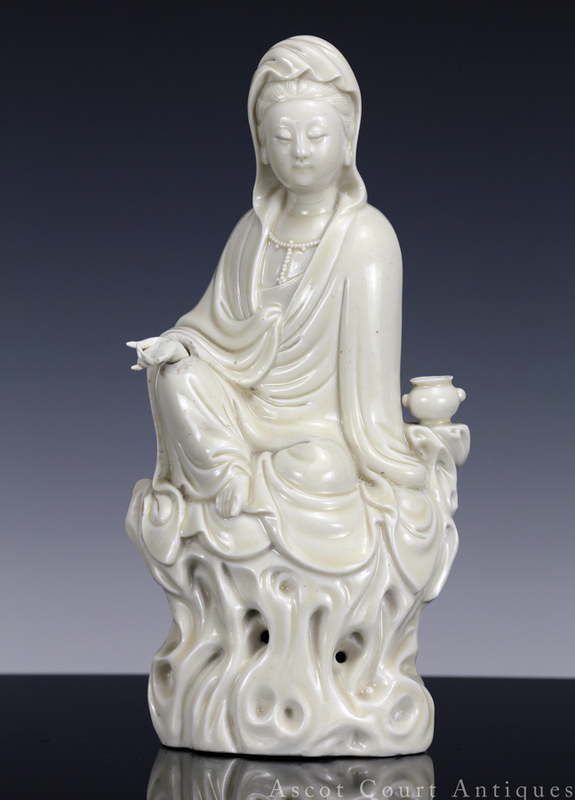 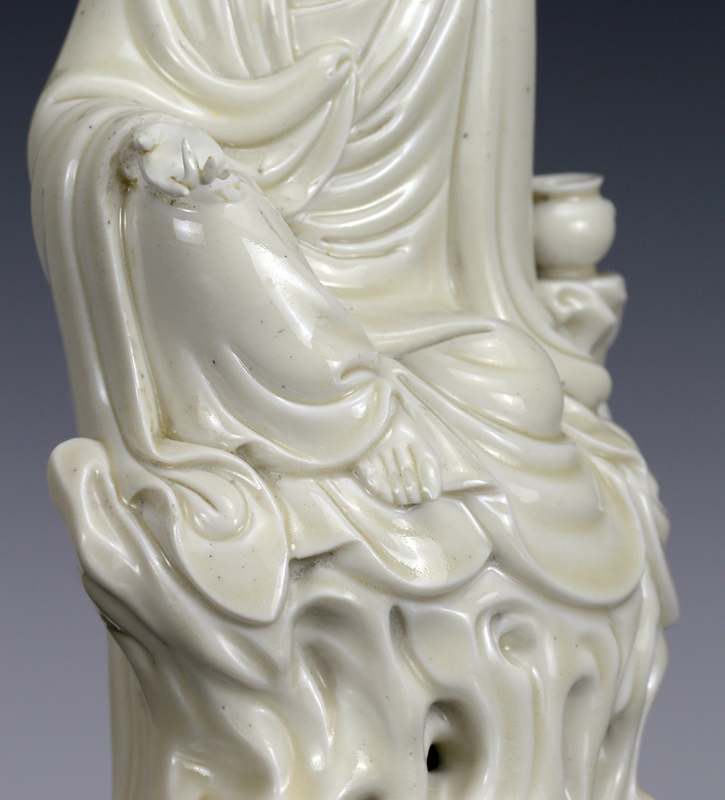 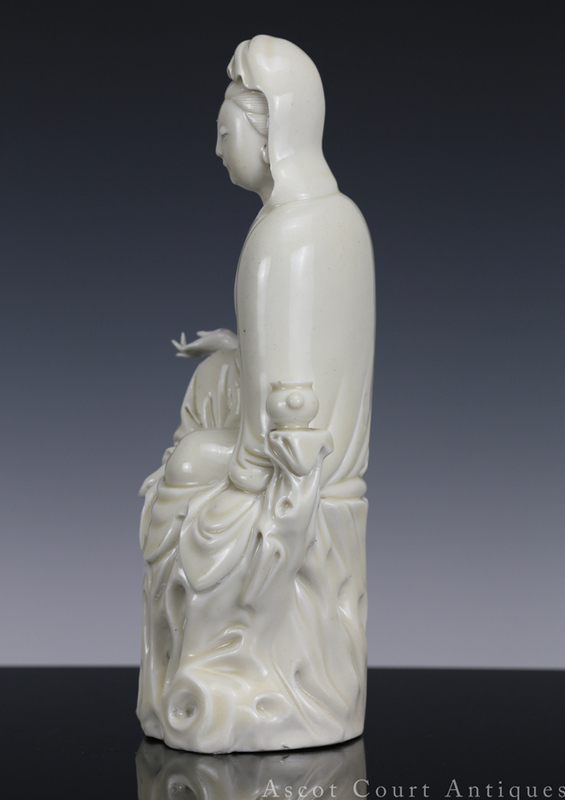 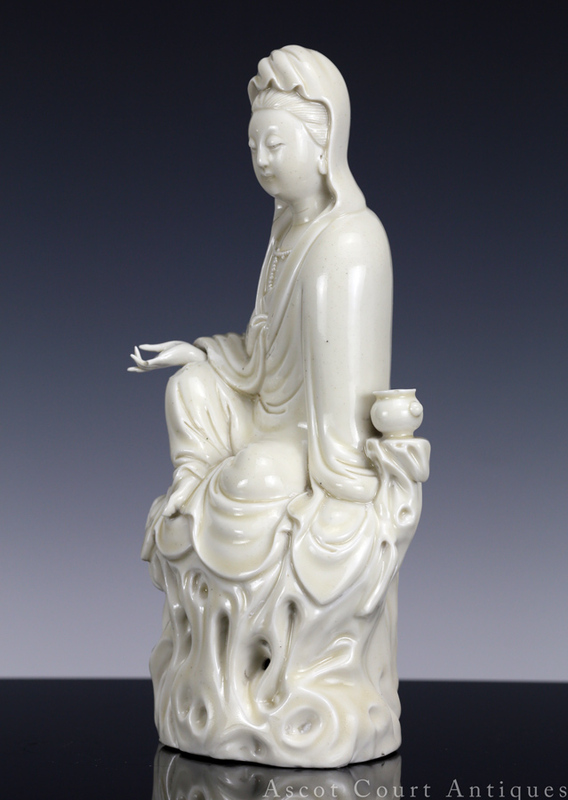 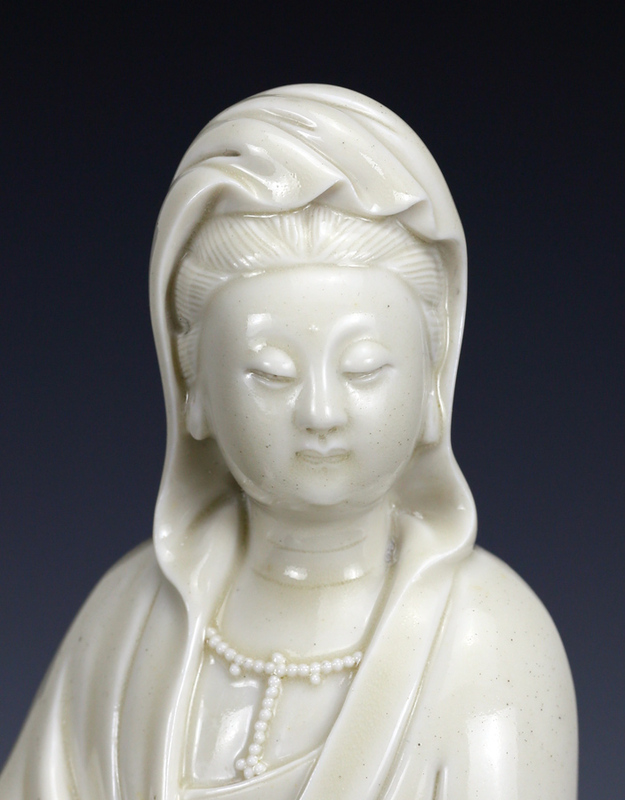 A well-modeled blanc de chine Guanyin, with harmonious proportions and elegant lines. 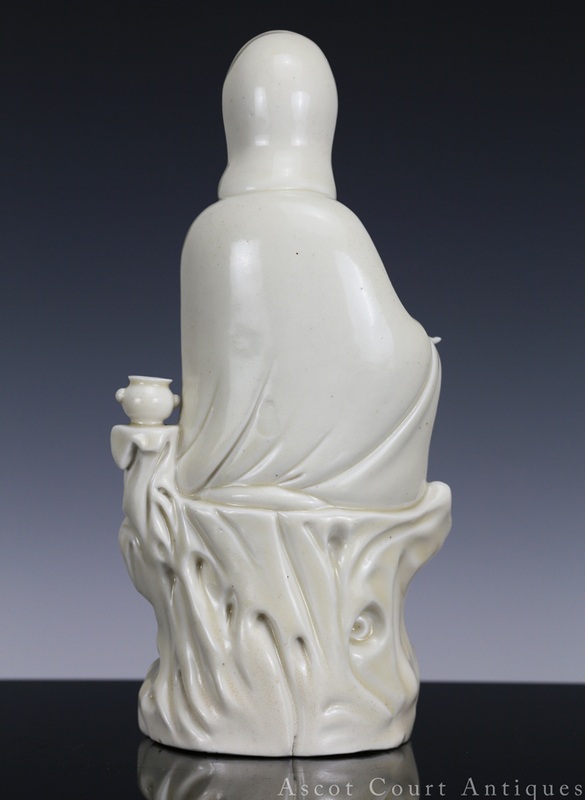 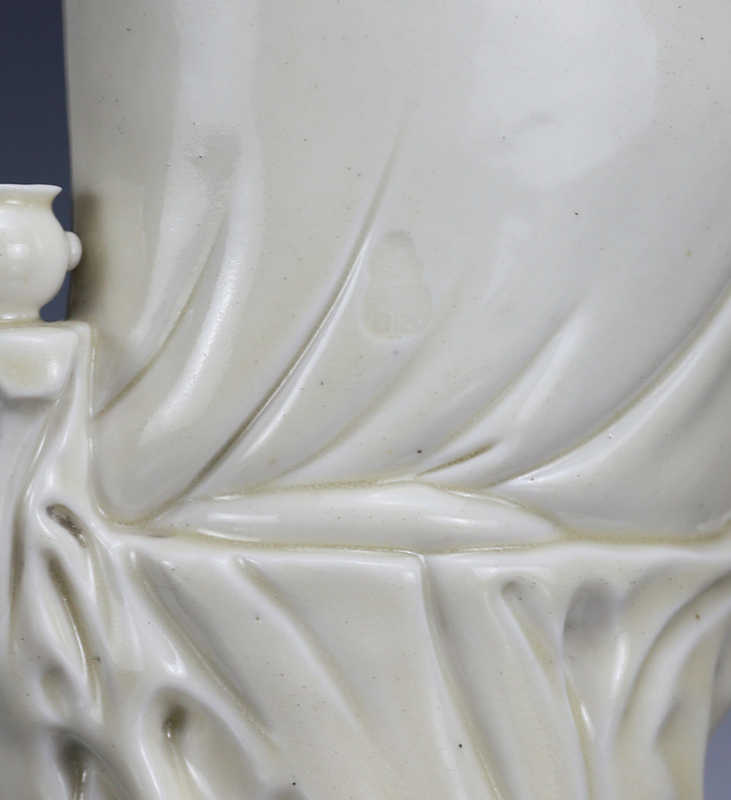 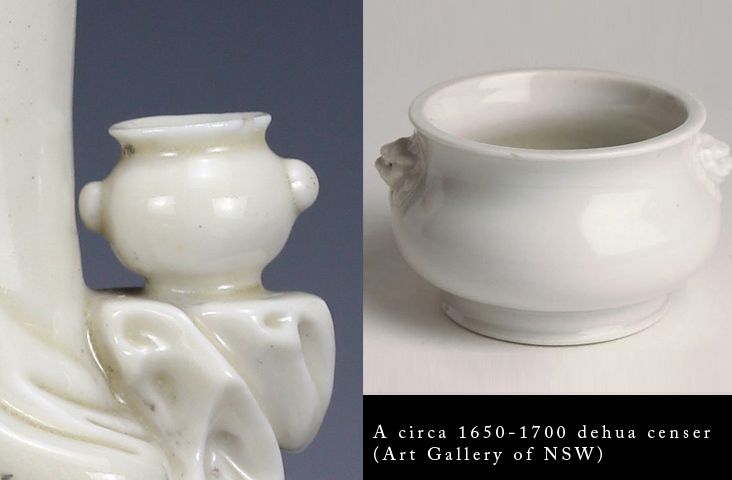 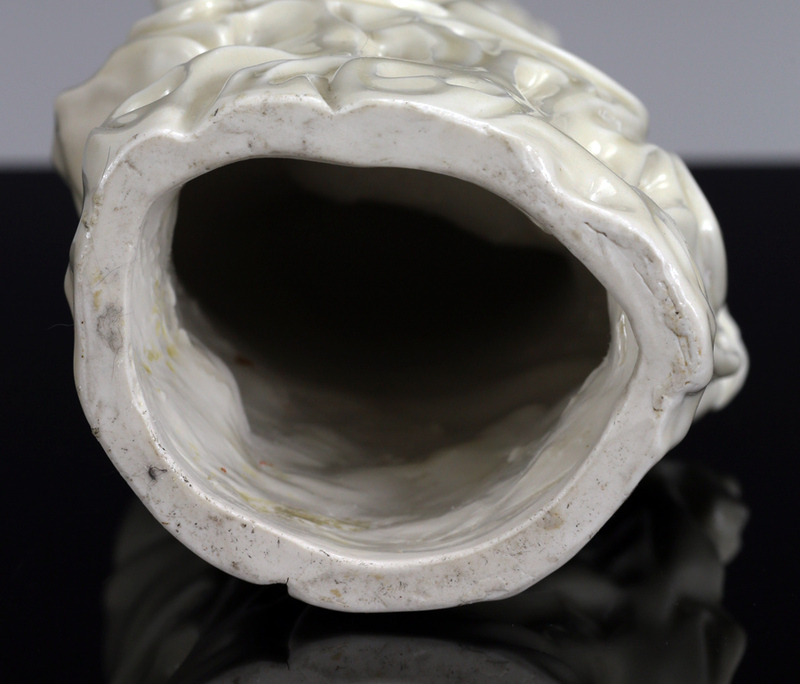 Its yellowish and bubbly clear glaze is typical of 17th/18th century Dehua white wares. 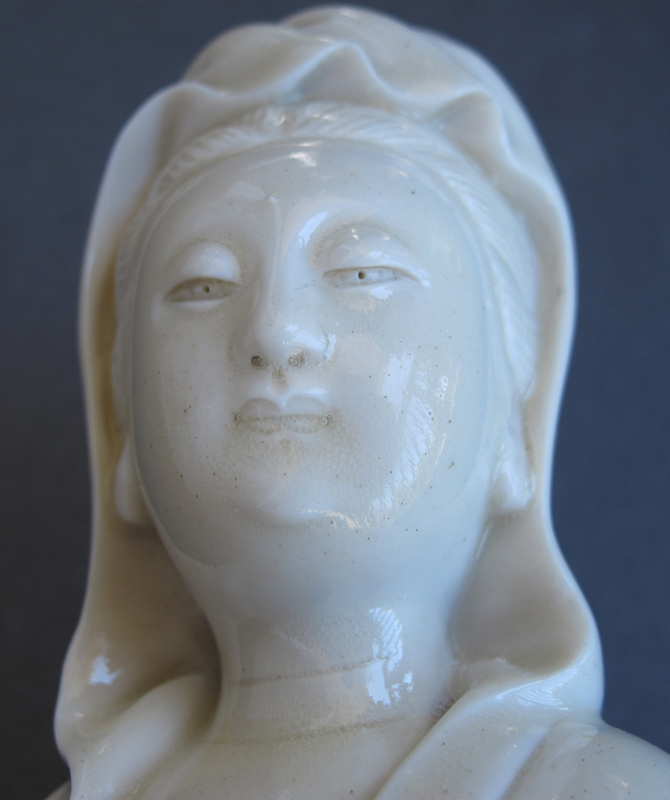 This Guanyin’s face is round and magnanimous, evoking earlier images of the Guanyin as an androgynous bodhisattva. 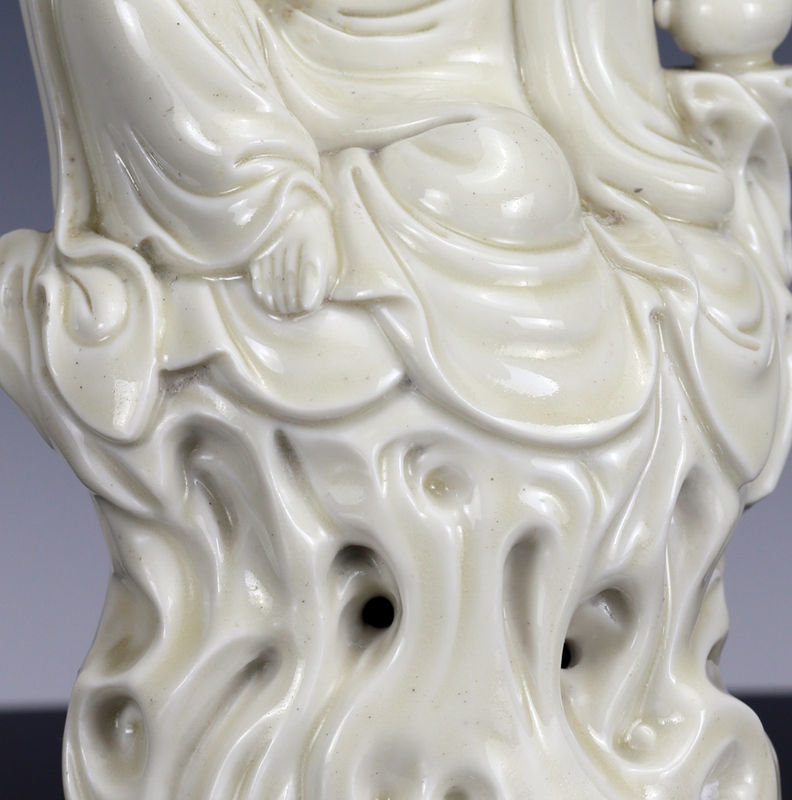 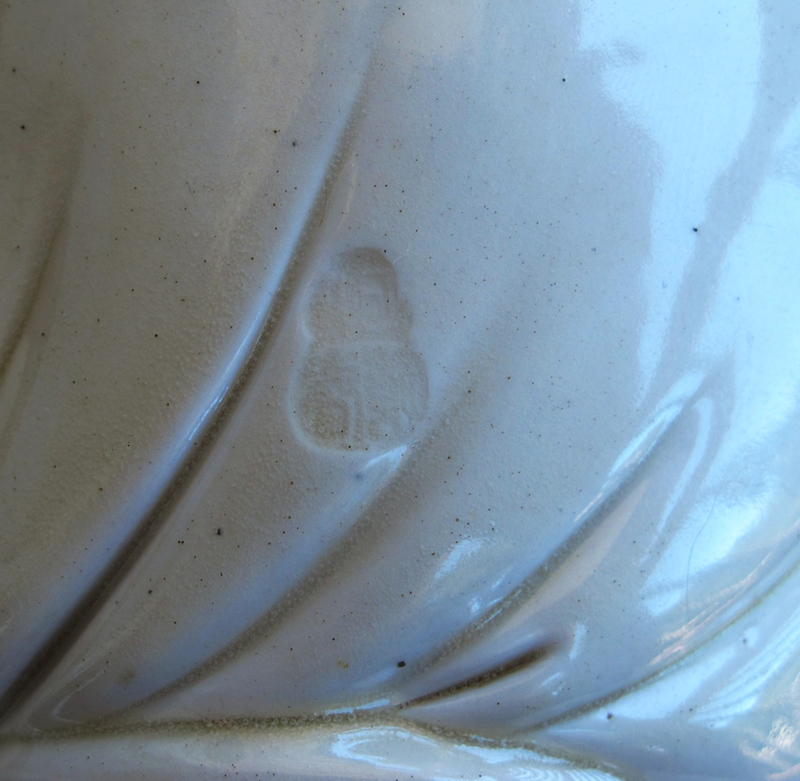 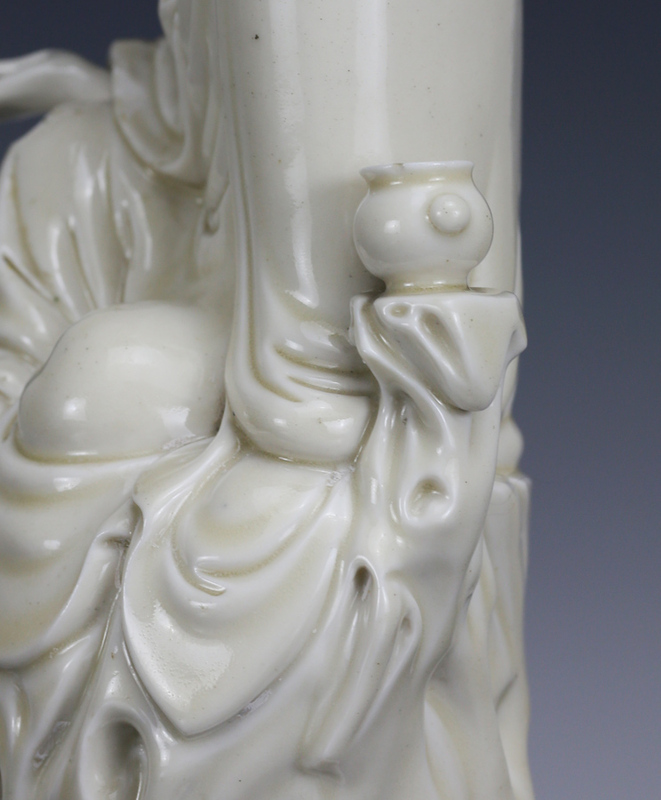 The back of the guanyin is marked with a underglaze gourd-shaped mark.